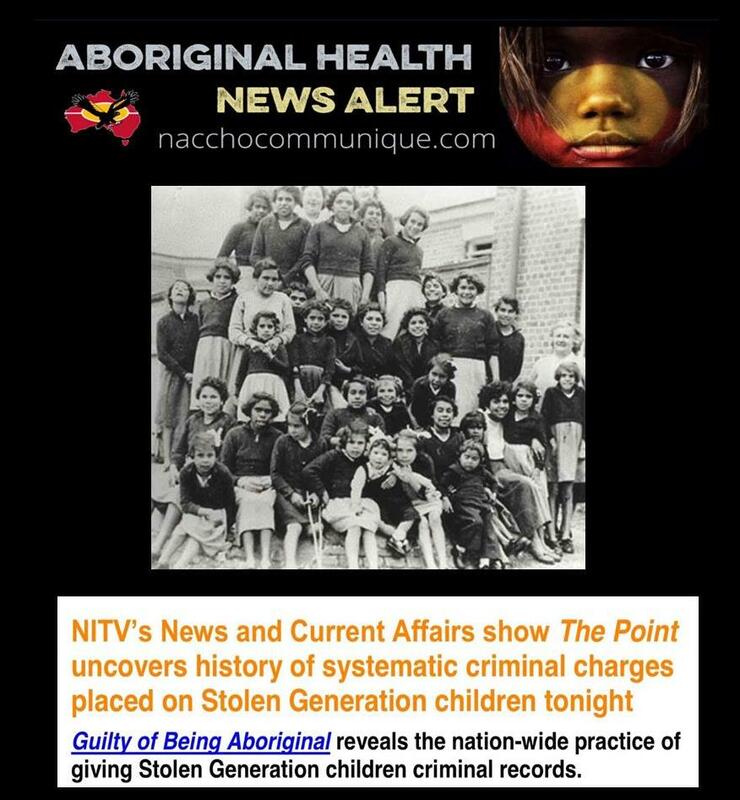 Aboriginal Health #ThePointNITV and Stolen Generation : Guilty of Being Aboriginal reveals the nation-wide practice of giving #StolenGeneration children criminal records. NITV news has uncovered the story of how thousands of Stolen Generation children had their lives permanently affected after they were charged and given criminal records – purely for being an Indigenous child taken away from their family. Featuring both on The Point tonight at 9pm, and in an investigative story online Guilty of Being Aboriginal, NITV unearths forgotten evidence of the widespread practice and reveals that these ‘offences’ still appear on full police records requested by individuals today. Research by Woor-Dungin volunteer Elizabeth Proctor and Law Professor Bronwyn Naylor from RMIT University reveals that in Victoria, it was a systematic, standard practice up until 1989 for Aboriginal children to get a police record for being an Indigenous child in ‘need of protection’. This means for decades, Aboriginal and Torres Strait children were given criminal records by the courts after being forcibly taken away from their families. In particular, the story follows 63-year-old Larry Walsh and his journey of uncovering the truth behind his criminal record from 1956, when he was only two and a half years old. During the course of going through old court documents, Walsh discovered that he had been branded a criminal because he was a ‘stolen child’. As well as leading to him being targeted and harassed by local police, Walsh says that this childhood record meant that Magistrates referred to his ‘criminal record from 1956’ on more than one occasion, for example when he went to court for driving without a licence. There have been calls for the official removal of the charges from people’s records.